Tham Luang caves, Thailand (CNN) The last remaining member of the Wild Boars soccer team and their assistant coach have been pulled out of a flooded cave in Thailand, bringing an end to a near three-week ordeal that prompted an international rescue effort and captivated audiences around the world. The 12th boy and his coach were the last of the team to be rescued Tuesday, after a complicated three-day operation to extricate the team, who became trapped on June 23 when rising floodwater cut them off deep inside the cave. Rescuers carry out one of the boys they saved from a flooded cave in northern Thailand. Nopparat Kanthawong, the team’s head coach, told CNN the wait for the boys and their assistant coach to be rescued has been agonizingly slow. 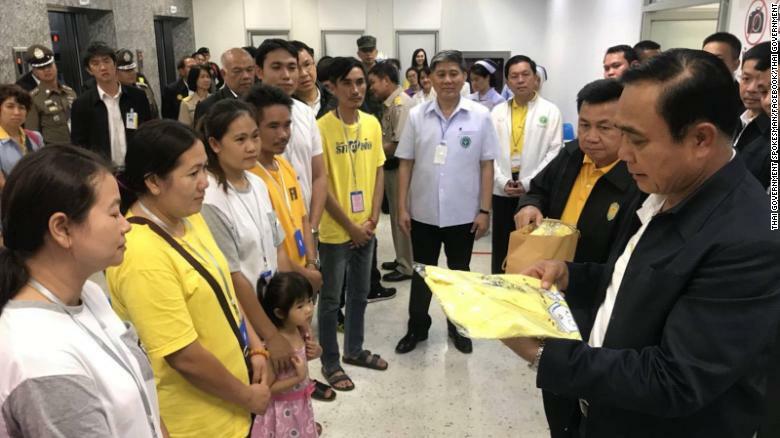 “I’m happy a lot more than other days because we were waiting for this day for a long time,” he said in an interview late Tuesday at his house in northern Thailand’s Mae Sai District. Kanthawong said he didn’t know the players and coach were going into the cave. “At this time, now that the coach is out, just wait until he gives any statements and let’s just wait altogether and find out (why they went into the cave) at the same time,” he said. “I’m going to give them a hug,” he said. Authorities will likely look for signs of Histoplasmosis, also known as “cave disease,” an infection caused by breathing in spores of a fungus often found in bird and bat droppings. Rescuers needed to hold the boys’ oxygen tanks in front of them and swim pencil-like through submerged holes. 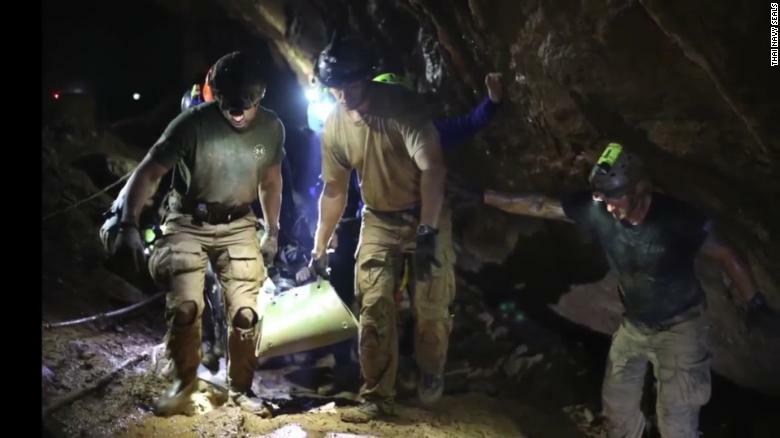 Having completed this section, the boys are then handed over to separate, specialist rescue teams, who help assist them through the remainder of the cave, much of which they can wade through. 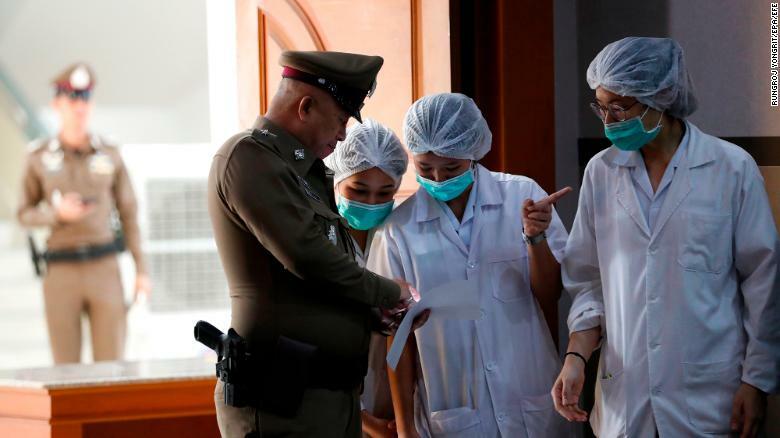 CNN’s Jo Shelley, Judith Vonberg and Darran Simon contributed to this report.